Dr. Denita Hudson is an Associate Faculty member of the MA in the Clinical Mental Health Counseling program online. She is a licensed Professional Counselor in the state of Ohio, a Nationally Certified Counselor, a Certified Clinical Trauma Professional with experience in Private practice, Community Mental Health Centers, College Counseling Centers and Domestic Violence Programs. She has also worked in vocational rehabilitation counseling serving people with physical and mental disabilities. Dr. Hudson's serves as Chair of the CMHC online program's Student Relations Committee, is a member of the admission's committee, and coordinator for Service Learning. 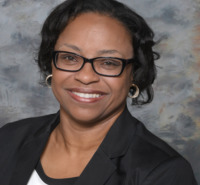 Her research interest includes the impact of Adverse Childhood Experiences on older adults, career development, and the African American community. Bhat, C. S., Pillay, Y. & Hudson, D. N. (2012). Supporting African American females in doctoral counseling programs at predominantly White institutions. American Counseling Association Vista Online, 92 , 1 - 13.